The Harley Gallery has commissioned food historian Tasha Marks of AVM Curiosities to develop a soundscape and series of photographs to complement ‘Made for the Table’, its glittering new exhibition of more than 70 pieces of contemporary silver tableware from the world-renowned Goldsmiths’ Company Silver Collection. The exhibition is showing at The Harley Gallery on the ducal Welbeck estate in Nottinghamshire from 4 November 2017 to 7 January 2018. 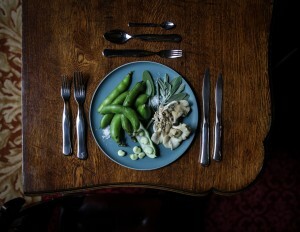 ‘The Silverware Still Lives’ series of photographs take their inspiration from 17th century Dutch paintings; directed and styled by AVM Curiosities to place the contemporary silverware in historically inspired settings. Using silverware itself as the percussion, ‘Silverware 7’ is a composition by New York based composer Mee, best known for her work with the Smashing Pumpkins, Genesis P-Orridge and English National Opera. 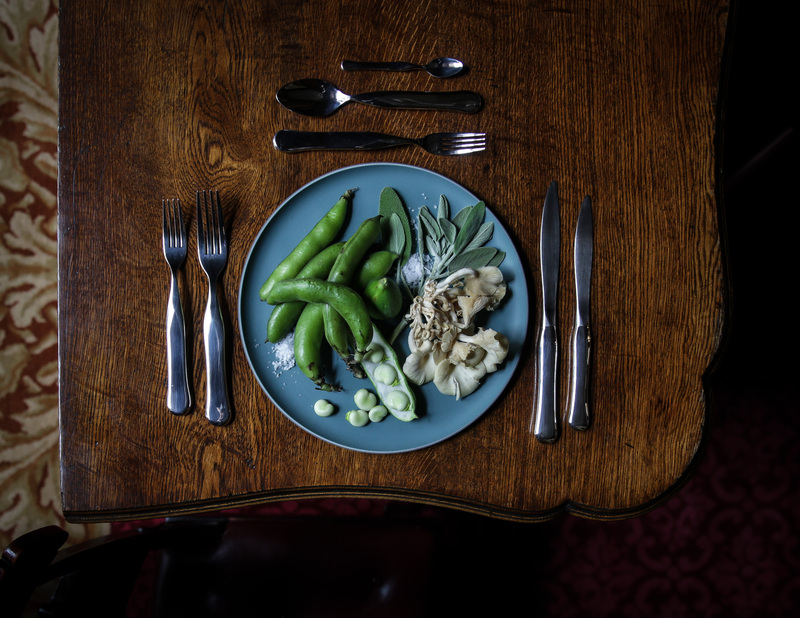 Mee has combined the silverware percussion with sounds taken from the studios of master silversmiths Miriam Hanid and Rebecca de Quin, and as well as playing in the gallery it is available to download and play at a dinner party at home. “Silver has a past, present and future and we’re aiming illustrate its timelessness – what is modern silverware now will become antique over time. By adding sound we’re changing how people respond in galleries, which are usually silent spaces – with the ‘Silverware 7’ soundtrack we’re encouraging people to talk and interact, rather like at a dinner party,” says Tasha Marks. This modern table setting is introduced by pieces from the Goldsmiths’ Company’s collection, one of the largest of its kind in the UK, with pieces dating from 1350 to the present day.